The results of this study may help to alleviate concern that the surge in popularity of e-cigarettes may be renormalizing smoking in England and discouraging smokers from trying to stop. The Brain Tumor Foundation’s Road to Early Detection is in Brooklyn, New York, this week, offering free brain tumor screening in its mobile MRI unit to anyone who signs up. Though the results need to be validated in independent samples, the researchers believe the findings could lead to new noninvasive cancer screening tests. Capita’s failure to send out cervical cancer test results condemned as ‘gross incompetence’. More than 40,000 women in England have not received information regarding cervical cancer screening after a failure to send out letters by the NHS. Around 4,000 of them were results of tests, the remainder were letters inviting them for screening or reminding them they were due. What this says to me is that while GAPDH inhibition might well be a metabolic target for some tumor types, bromopyruvic acid is a pretty crude tool to accomplish this. You would worry that a molecule this small and this reactive would be accompanied by severe toxicity, and that’s just what you get. An analysis of nearly 2,800 people with non-small cell lung cancer (NSCLC) who received the immune checkpoint inhibitors nivolumab (Opdivo), pembrolizumab (Keytruda), or atezolizumab (Tecentriq) found that unexpected medical problems, known as adverse events, may be more common than reported in the initial trials that led to the approval of these therapies. Formally evaluating this intervention is important and making claims of “safety” and “durability” is not technically accurate for a proof-of-concept study. Larger phase I trials are needed to evaluate safety. New treatments are taking aim at blood cancers that exploit the immune system. Dragonfly’s pipeline is based on its TriNKET, or Tri-specific, NK cell Engager Therapeutics, which bind to surface proteins expressed on both cancer cells and NK cells. This alerts the NK cells to the cancer; they then directly attack the tumor while also recruiting other immune cells to join in. Dragonfly has technology which develops immunotherapies based on natural killer cells (NK), a type of immune cell. 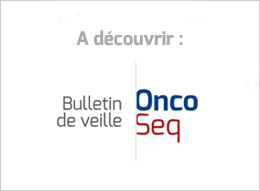 The expanded deal adds solid tumors to the collaboration. The companies have not said how close any of the experimental immunotherapies are to starting clinical trials. Of course, even if Merck can win an FDA approval based on these latest data, patients won’t be eligible for Keytruda until they have already failed on another treatment. But Merck is working to change that with another ongoing phase 3 trial, which is studying the blockbuster in tandem with chemo in the front-line setting. With Pivotal KEYNOTE-181 Trial Meeting Primary Endpoint of OS, KEYTRUDA Becomes the First Anti-PD-1 Therapy to Demonstrate a Survival Benefit for These Patients. While that’s the case for a subgroup of patients whose tumors express PD-L1 (as quantified by a combined positive score, or CPS, of 10 or above), when it came to the entire intention-to-treat population, statistical significance for OS was not met — marking a key miss in the primary endpoint. Exelixis’ supplemental New Drug Application for CABOMETYX for previously treated advanced HCC currently in review with the U.S. Food and Drug Administration. Results from a phase I/II clinical trial in 25 patients identified the maximum tolerated doses at which NIR178 (PBF-509) and spartalizumab (PDR001) could be given to patients whose disease had either failed to respond or stopped responding to previous treatments. The disease shrank or disappeared in two patients and it remained stable, without progressing, in 14 patients. Early results from a phase I trial in a small group of patients with advanced cancer using two drugs (nivolumab and pixatimod) that stimulate the immune system report that patients with bowel cancer may benefit from the combination. What’s clear from the new NCI MATCH trial basket result is that some metastatic cancer patients with AKT mutations benefited from AZD5363; even in late-stage cases, the drug shrank 1 in 4 tumors, but it wasn’t easy to take. The change, which public health researchers have referred to as part of a fourth stage in an epidemiologic transition, signals the beginning of a new era. As US healthcare organizations move into clinical genomics and build bioinformatics pipelines, many are lagging when it comes to integrating structured data into their electronic health records. Moving healthcare subsidiary into main company breaks pledge that ‘data will not be connected to Google accounts’. Flatiron’s solution is to own the right to use data from an electronic medical record used by nearly 280 medical practices for 2 million patients. It pays 1,000 contractors to read the text notes doctors write about their patients and turn the notes into data on what medicines patients take, how well they work, and what happens next. This can be turned into a larger data set that measures how well medicines are actually working, a potential that has Flatiron collaborating with all the largest makers of cancer drugs. The jury in Humboldt County Superior Court in Eureka, California rejected claims by Carla Allen who said that her mesothelioma, a tissue cancer closely linked to asbestos exposure, was caused by the company’s talc products, including Johnson’s Baby Powder. J&J denies the allegations, saying decades of scientific testing and regulatory approvals have shown its talc to be safe and asbestos-free.